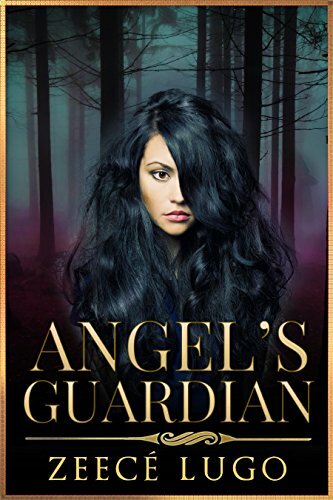 This blog is published by Zeecé Lugo, author of the Angel's Guardian series, the Future-Past series, and Vampires in the Mist novella series. Comments are welcome. 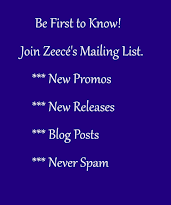 Zeece's VIP Members Get Rewarded! Audiobooks: Are They For You? One of the reasons most readers will not try audiobooks is that it seems a lot of trouble to set up. Those who take the trouble, quickly fall in love with them. The main company offering audiobooks is Audible, and through them, Amazon. To download the book, even if it is FREE, you need to have an audible account. When you navigate to audible.com, you are met with the “First Month FREE, but $14.95 after first month” advert. Anyone who wants to redeem a free code and test the audiobook waters, is forced to open an account. Most people are leery of opening new accounts. Many have had experiences where companies make it very difficult to close memberships. Some keep charging for months after the membership is closed, and you have to jump over hoops to get your money back. Audible is owned by Amazon, and they are very good with customer relations. You will have no problem closing your account. You might love the perks that come with the $14.95 monthly fee and decide to keep it. GO AHEAD. OPEN THE ACCOUNT. IF YOU DO NOT WANT TO PAY $14.95 A MONTH, BE VERY SURE TO CANCEL BEFORE THE MONTH IS OUT. If you forget to cancel, you will be charged. NOTE: You will need to provide a Credit Card or a VISA Logo check card. If you close the account before the month is out, you will not be charged. Now you have an Audible account. If the author gives you a Gift Code, you must redeem it for a book. A Gift Code is not a book, but it is a credit to buy a book. I will always gift the audiobook itself, not the code. You'll get a notice sent to your email that you've been gifted an audiobook. You must now download it. You must sign into your Audible Account and go to Listening APPS. The following apps are available for the following devices. You may install one on your phone, one on your tablet, one on your desktop, or even one on your MP3 player. Once you have the proper app installed in your listening device, now you can open the app, sign in, and access your book! It is really easier than it sounds. Gift Code, then you must redeem the code first. 2. Download the proper App for your device. 3. Access your Free book and listen! Now, you can search for Free author Gift Codes for more free books. If you wish to try the audiobook route, I have Gift Codes for both Strongheart’s Woman and Daniel’s Fork, but I will redeem the code myself and gift the audiobook directly to you. Please, open your account and download your app first. I will gladly gift you an audiobook if you write a short honest review for it after listening to it. I NO LONGER GIVE OUT THE CODES. I redeem the codes and gift the actual book. Email me at zeecelugo@gmail.com and give me an email where I can send the audiobook gift. It may not be a kindle address. It must be your personal email address. I use my Mailing List to stay in touch with my readers. Only the email address and first and last name are requested. I use your email to send notices of new releases, new promos, and sometimes to let you know about a new post in this blog. Your email is never shared or sold. You can unsubscribe at any time by clicking on the unsubscribe link provided at the end of each newsletter. https://www.mailerlite.com/privacy-policy. ARE YOU A BOOKBUB FAN? CLICK THE BUTTON BELOW. IT WILL TAKE YOU TO MY BB PAGE. BE SURE TO FOLLOW ME. Journey to the Future Past! For lovers of true romance comes an intense and thrilling love story that will steal your breath away! 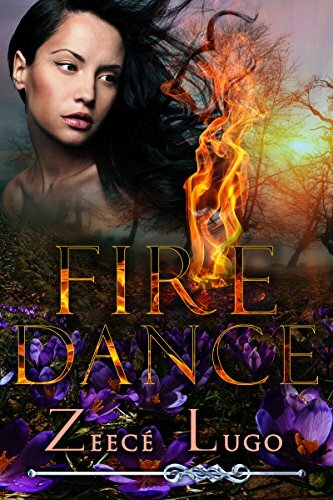 Immerse yourself in a time and place of fierce warriors, daring women, and love that conquers all. Vampire Romance Like No Other! A thrilling tale of romance, suspense, action, humor, and eroticism. This is a FAST-PACED READ that will leave you hungry for more! GET A FREEBIE FOR JOINING! GET ONE OF MY SHORT STORIES FOR FREE WHEN YOU JOIN MY VIP LIST. IT'S DEDICATED ONLY TO HER BOOKS. 1. Find Excerpts of All Her Books. 2. Get Links to Books on Sale. 3. Get Latest News on New Releases. 4. Get Latest News on Special Sales.